Although many crypto-centric startups have been negatively affected by the most recent market correction the crypto market has undergone, Coinbase seems to be doing just fine and is not only surviving but thriving, even in the roughest of storms. As per a report from Business Insider, which has become quite the controversial crypto news source over the past week, in February, representatives from Coinbase revealed that it was likely to double its staff count from 250 to 500 by the time January 2019 rolls around. And just a few months after divulging this information, it seems that the San Francisco-based crypto startup has already achieved its goal, with a firm spokesperson noting that Coinbase has already hit and surpassed that growth target. Business Insider went on to note that the firm, founded in 2012, has been making a multitude of moves to make an impact on Wall Street, hiring individuals from the New York Stock Exchange, Credit Suisse, and Apex. Despite the fact that this is quite the feat, this was somewhat expected, as Coinbase has recently begun ramping up its expansion plans & product offerings to accommodate consumers better. As reported by Ethereum World News in late-June, the startup opened up a Portland office aimed at customer service and planned to hire upwards of 100 employees for that office space alone. It can be assumed that the Portland office space, coupled with employee hires at other locations like the new Chicago, Tokyo, Dublin and Portugal offices, contributed to the firm’s growing staff count. 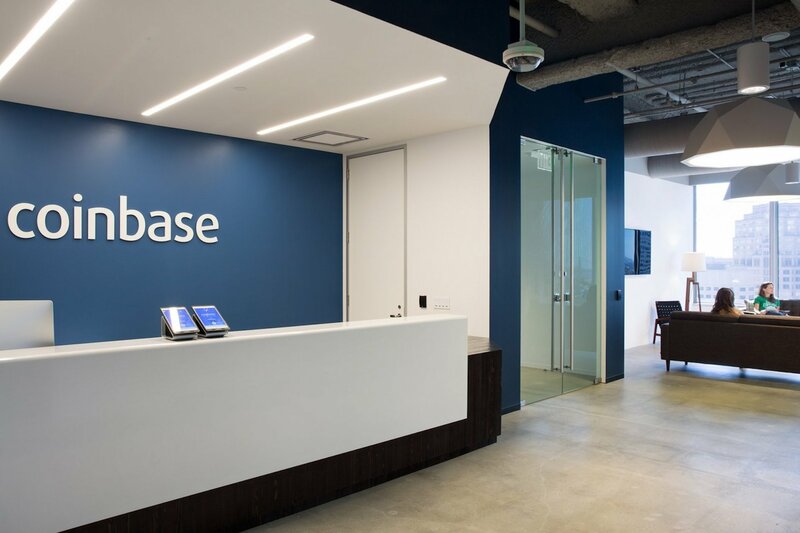 Along with new offices, Coinbase has begun to consider and offer a wide array of products aimed at every type of consumer. Most recently, the company has ramped up its ‘prime’ business, a division aimed at hedge funds, family offices, and other financial institutions. Coinbase has reportedly begun to consider a crypto-backed ETF as well, as covered by a previous Ethereum World News article. Insiders claim that the firm has its eyes on establishing an exchange-traded fund that will track the price of a variety of assets, likely the five assets already widely available in Coinbase’s ecosystem. It is likely that to accommodate this plan, the firm has had to employ or take upon talented individuals to help this ETF come to fruition. Although the crypto infrastructure platform has a lot going for it, to say the least, it wasn’t the only crypto-focused firm to see expansion and growth in 2018’s less-than-ideal bear market. BitMEX recently leased out a whole floor in Hong Kong’s Cheung Kong Center, one of the most exorbitant offices in the world, and is reportedly set to incur over $575,000 in monthly rental fees. This goes to show that the exchange, which has become well-known for its margin features, is still raking in hefty profits, even amid questionable market conditions. Moreover, on two days in the past months, BitMEX has set industry records when it comes to trading volume (1,000,000 BTC+), which shows that the firm’s exchange system can still excel in rough market conditions. Binance has also done well, with CEO Changpeng Zhao recently divulging that his firm is eyeing $1 billion in profits in 2018 alone. This substantial figure can be attributed to the firm’s rapidly growing user base, which has swelled to 10 million users as per Zhao’s statements. Attesting to the firm’s profit statistic, Dovey Wan, managing director of DanHua Capital, took to Twitter to note that Binance’s Q1 profits had actually surpassed the figures posted by Deutsche Bank and Nasdaq.